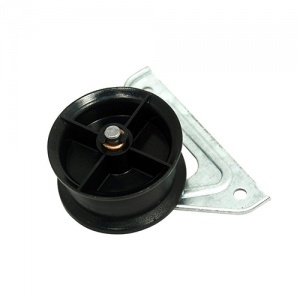 Low cost replacement jockey pulley wheel to fit Hotpoint tumble dryer models as shown. 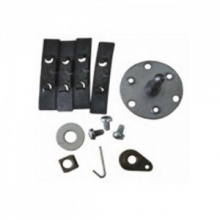 The jockey wheel I received was different from the original and not of the same quality (the wheel received has one central disc with no strengthening ribs where the original has 4 strengthening ribs either side of the central disc), however it does fit and the dryer is running smoothly again. Well engineered product,utilised a proper miniature ball bearing as opposed to the manufactures crap bushing device.Good product and fast delivery,would use this company again.